Key indices pared gains after hitting fresh intraday high in afternoon trade. 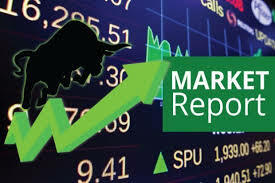 At 13:19 IST, the barometer index, the S&P BSE Sensex, was up 60.54 points or 0.16% at 36,885.64. The Nifty 50 index was up 8.25 points or 0.07% at 11,142.55. Gains were boosted by data showing that FPIs and DIIs, both, turning net buyers of equities yesterday, 24 July 2018. A bout of volatility was seen in early trade as stocks regained positive zone soon after erasing intraday gains. A divergent trend was witnessed in morning trade as the barometer index, the S&P BSE Sensex, was trading with small gains while the Nifty 50 index was trading with minor losses. Divergent trend continued in mid-morning trade. Indices pared gains after hitting fresh intraday high in afternoon trade. As per provisional data released by the stock exchanges, foreign portfolio investors (FPIs) bought shares worth a net Rs 104.34 crore while domestic institutional investors (DIIs) bought shares worth a net Rs 513.78 crore yesterday, 24 July 2018. The S&P BSE Mid-Cap index was up 0.31%. The S&P BSE Small-Cap index was up 0.53%. Both these indices outperformed the Sensex. The market breadth, indicating the overall health of the market, was positive. On the BSE, 1,419 shares rose and 1,049 shares fell. A total of 141 shares were unchanged. Index heavyweight and housing finance major HDFC was up 1.06% to Rs 2,000.15. Index heavyweight Reliance Industries (RIL) was up 0.85% to Rs 1,119.95. Index heavyweight and cigarette major ITC was up 0.81% to Rs 286.55. Index heavyweight and IT major Infosys was up 0.52% to Rs 1,383.10. Engineering & construction major L&T was up 0.55% to Rs 1,329.85. NTPC (down 3.5%), Bharti Airtel (down 2.5%), Power Grid Corporation of India (down 1.29%), TCS (down 0.95%), Hindustan Unilever (down 0.92%) and Kotak Mahindra Bank (down 0.72%), were the major Sensex losers.  Vedanta (up 2.11%), Adani Ports and Special Economic Zone (up 1.97%), Yes Bank (up 1.70%), Tata Steel (up 1.45%), ONGC (up 1.24%) and Bajaj Auto (up 1.15%), were the major Sensex gainers. Overseas, most European declined on Wednesday, as investors awaited a key meeting between the European Commission and President Donald Trump and digested fresh earnings. Investor sentiment is somewhat cautious ahead of a meeting between president of the European Commission, Jean-Claude Juncker, and Trump at the White House in Washington. During the gathering, the two leaders are expected to discuss a range of topics including trade relations — the latter will be watched closely following a recent trade spat between the two regions. Asian stocks were mixed. Meanwhile, Beijing on Tuesday reportedly signalled that it would shift to a looser fiscal policy in a bid to protect the world's second largest economy from the impact of an escalating trade row with Washington. US equity benchmarks finished Tuesday mostly higher, led by technology and health-care companies.